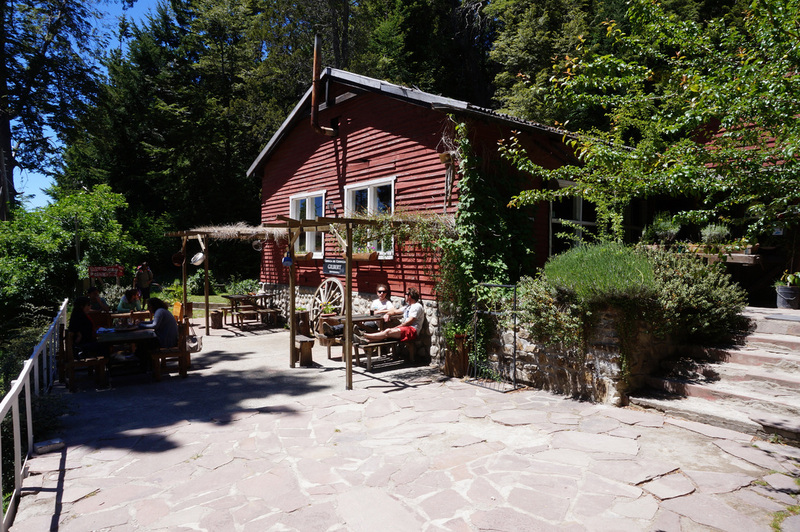 It was a long drive to Bariloche in the Dragoman Overland vehicle. We made a brief stop at the El Bolson Farmer’s Market, which was set up around a park with a man made “pond” and mountains in the distance. That night we had a "home" cooked steak dinner and wine tasting at the hostel. 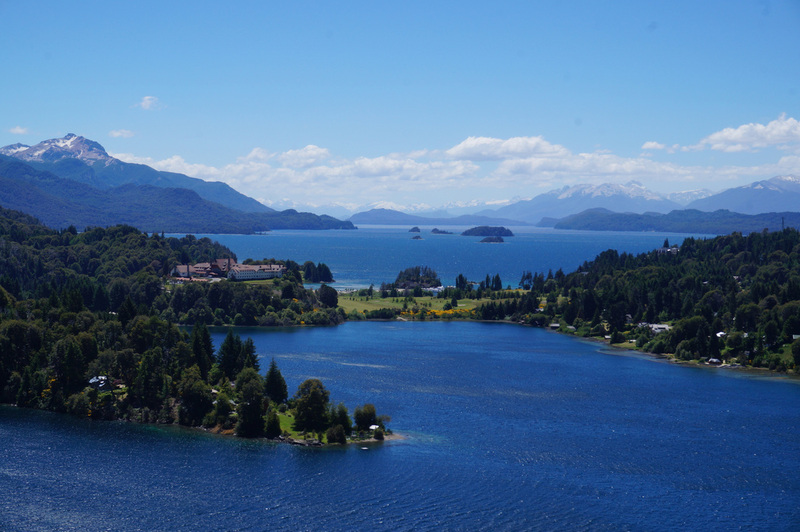 Bariloche is the major town in Argentina's Lake District. It feels a bit like a German / Swiss mountain village and not just because of the snowcapped mountains. After WWII many Germans settled in the area and buildings reflect their architectural heritage. When of the best, but grueling, ways to see the countryside is to rent a bike and cycle around the smaller lakes. I was under the impression that an 18-speed bike on a 25K loop would pose no problem. I was mistaken. The "hills" were brutal and at some points I needed to get off bike and walk uphill. Each hill had curves that gave a false impression that you were near the top. One of the places I stopped on the bike loop was Hotel Llao Llao, home of the $8 capuccino, but also a magnificent historical hotel. 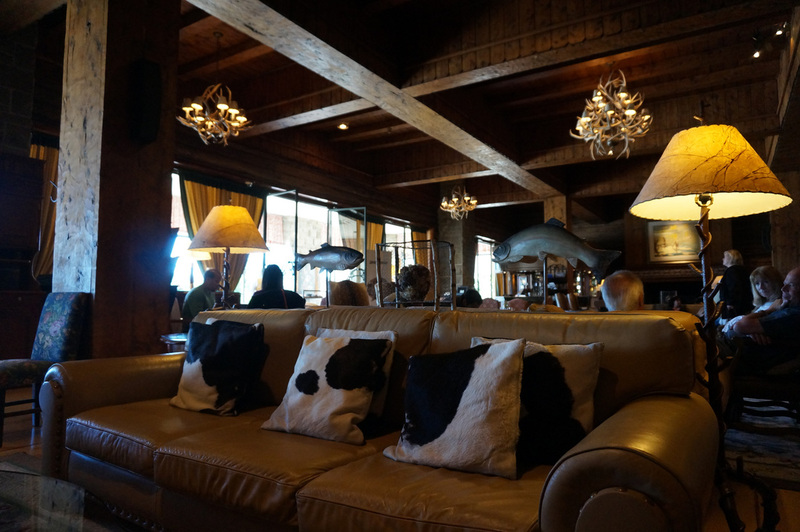 It was a classic old school hotel / lodge with a log cabin style foyer and huge comfortable chairs and panaromic views of the lake below. I had lunch at microbrewery. I went out for dinner to a good steak house and finally realized that I should have been ordering Bife de Lomo (tenderloin) at every steak house. An enormous pile of fries and potatoes was included as side entries. 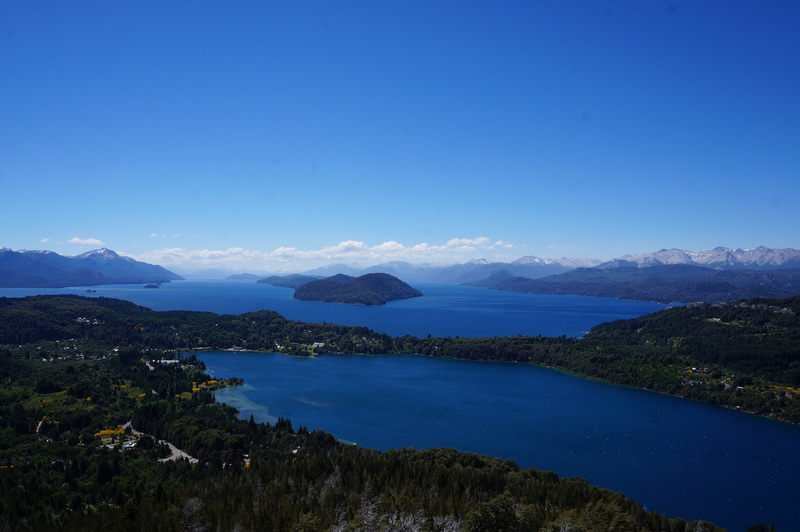 For additional Bariloche photos see FLICKR ALBUM.